This lesson explains how to describe a line graph or bar chart for IELTS task 1 that is over time. This uses an example of a bar chart, but it will be the same for a line graph. When you get a chart or graph to describe, it is always important to check whether there is a time frame or not. If there is, you will need to use the language of change. However, it is not enough just to describe the changes of each element (ActiveX, Java and Net in this case) on their own and ignore how they relate to each other. Look at the question – you are asked to compare the data as well. So you must also compare the elements where relevant in your IELTS task 1. You must also group data together to make sure you have a well organized and coherent answer. 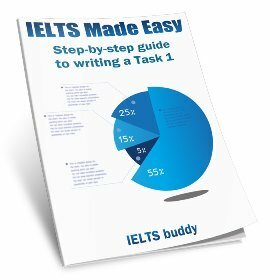 To do this, you need to look for similarities and differences when you first analyze the graph for IELTS task 1, and decide what can be logically put together or not. Now look at the bar chart below and read the IELTS task 1 model answer. The bar chart illustrates the download rate per week of ActiveX, Java and Net computer packages over a period of five weeks. It can clearly be seen that ActiveX was the most popular computer package to download, whilst Net was the least popular of the three. To begin, downloads of ActiveX and Java showed similar patterns, with both gradually increasing from week 1 to week 5. However, the purchases of Active X remained significantly higher than that of the other product over this time frame. 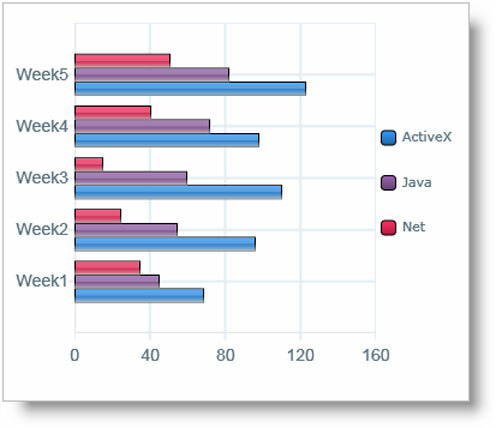 In week 1, purchases of ActiveX stood at around 75,000, while those of Java were about 30,000 lower. With the exception of a slight fall in week 4, downloading of ActiveX kept increasing until it reached a peak in the final week of just over 120,000. Java downloads also increased at a steady rate, finishing the period at 80,000. The product that was downloaded the least was Net. This began at slightly under 40,000, and, in contrast to the other two products, fell over the next two weeks to reach a low of approximately 25,000. It then increased sharply over the following two weeks to finish at about 50,000, which was well below that of ActiveX. 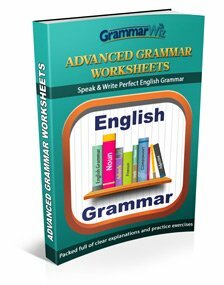 You will need to practice this type of language, and also make sure you know a variety of structures to get a better score – if you keep repeating the same kind of phrases this will show you have a more limited range of lexis and grammar. 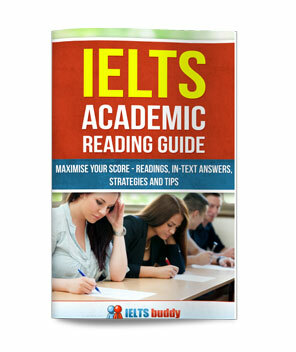 In IELTS task 1, you must also compare the data as you are asked to do in the rubric. If you just write about what happened to ActiveX, what happened to Java, and what happened to Net, without showing any relationship between them, this won’t be enough. It is a good idea to divide your answer into paragraphs so it is well organized. To do this, you should group similar things together into paragraphs or sections. If you look at the chart, you will see that ActiveX and Java have a similar pattern, both steadily increasing over the period (apart from the slight fall of ActiveX in week 4), so these could be put together. To begin, downloads of ActiveX and Java showed a similar trend, with both gradually increasing from week 1 to week 5. However, the purchases of Active X remained significantly higher than that of the other product over this time frame. In week 1, purchases of ActiveX stood at around 75,000, while those of Java were about 30,000 lower. With the exception of a slight fall in week 4, downloading of ActiveX kept rising until it reached a peak in the final week of just over 120,000. Java downloads also increased at a steady rate, finishing the period at 80,000. On the other hand, Net is the lowest and it has a different pattern – falling and then rising again. So this could be described in another paragraph. The product that was downloaded the least was Net. This began at slightly under 40,000, and, in contrast to the other two products, fell over the next two weeks to a low of approximately 25,000. It then increased sharply over the following two weeks to finish at about 50,000, which was well below that of ActiveX. 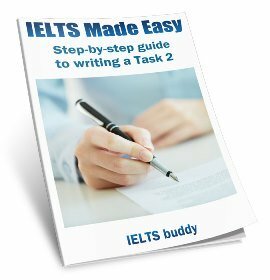 There is usually more than one way to group the data for an IELTS task 1, so this needs to be your decision. As long as it is logical and makes your answer easy to follow and read, this should be ok.